A number of towns and cities have elected new mayors this evening. 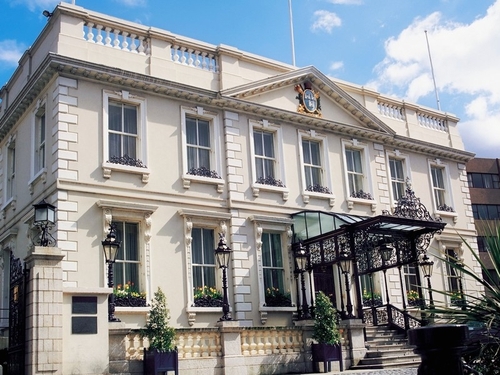 Labour Councillor Emer Costello has been elected as Lord Mayor of Dublin at the annual meeting of Dublin City Council. Ms Costello's election comes as result of a voting agreement between her party and Fine Gael. The two parties have a combined tally of 31 seats out of 52 on the council and will now rotate the office between them. This arrangement replaces a Fianna Fáil and Labour pact. Fine Gael Councillor Dara Murphy has been elected Lord Mayor of Cork. Cllr Murphy's election is being facilitated by a renewal of a pact between Fine Gael, Labour and Fianna Fáil. Another Fine Gael Councillor, Kevin Kiely, has been elected in Limerick. In Galway, Independent Councillor Declan McDonnell has been elected, while the new mayor of Sligo is Labour Councillor Jimmy McGarry. Kilkenny will have a Green Party mayor as Malcolm Noonan takes on the role.